Dr. Jean-Marie Biebuyck joined our team in 2003. After receiving his Doctorate of Dental Medicine from the University of Pennsylvania, he went on to graduate from the periodontal program at Tufts School of Dental Medicine. Dr. Biebuyck specializes in periodontics, reconstructive surgery, cosmetic gum surgery, as well as implant surgery. Throughout his career, he has placed over 1,000 implants and has had extensive experience in bone grafting. 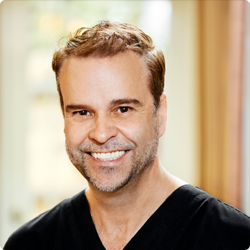 Dr. Biebuyck’s associations and affiliations include the Massachusetts Dental Society, American Academy of Dentistry, American Academy of Periodontology, and the American Board of Forensic Dentistry Diplomate. If you would like to schedule an appointment with Billerica Periodontist Dr. Jean-Marie Biebuyck, please contact our dental office today.